The entire project is vibrant and colorful as well as elegant and professional. 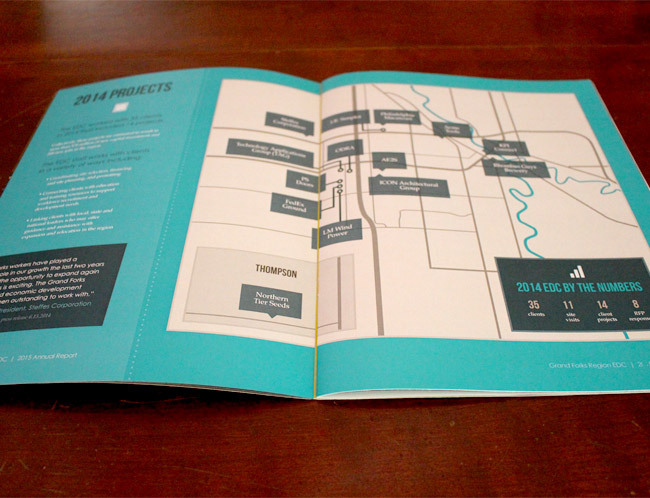 Large blocks of color can be seen throughout the 20 pages of the annual report as well as the invitation in a bright turquoise, lime green, and navy blue. The vivid colors set the stage for the whole design. The pieces use the flat design style that they are looking to use for all marketing pieces moving forward, giving it a modern and clean look. 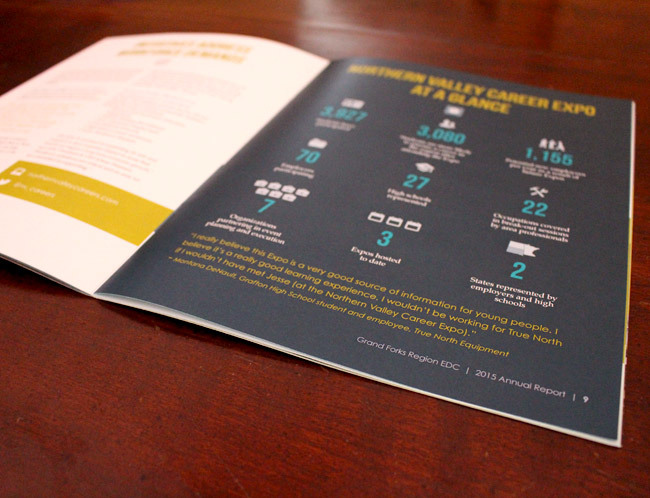 Many of the pages have an infographic style, displaying numbers and information with graphics and icons to give them an interesting visual look. In their new brand standards, we also created a bunch of icons for them to use on all marketing pieces, and these icons can be seen throughout, adding to the graphic appeal of the project. The fonts and colors we used were taken from their brand standards that we helped rejuvenate, some old and some new choices that were brought together for a great cohesive look. 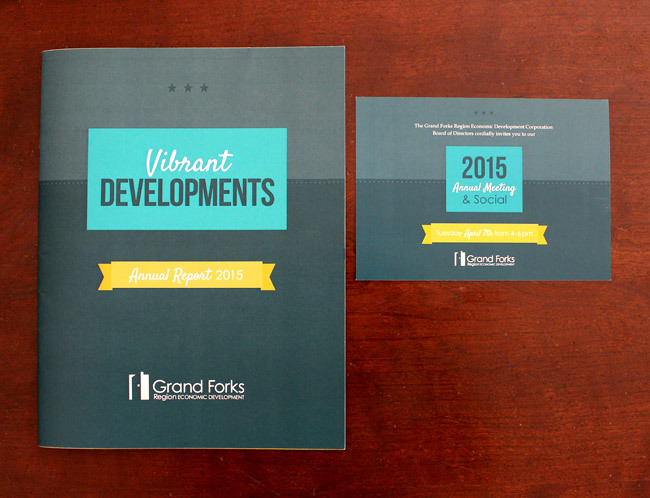 Overall the project is clean and stylish and the Grand Forks EDC received many wonderful comments at their annual meeting.